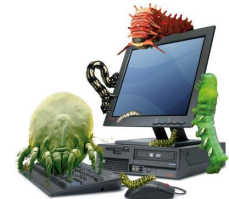 Here are some scary predictions for 2015 from MalwareBytes, makers of a free popular anti-spyware solution. We have used it for years. — “File-less Payloads” We’ll see an increase in malware that isn’t an actual file on your computer but runs only in your computer’s memory. These are real tough to get rid of. — “Ransomware” This is malware that messes up your phone and the party who placed it there demands a payment to remove it. Of course, if you’ve backed up your phone’s data, you can revert to the original factory condition and then re-load. — “Wallet Malware” Using your phone to pay at the counter is just one more function that makes your phone vulnerable to attack, so people should add security software to their phones. –“The Internet of Things” could make many devices vulnerable. What if your thermostat is attacked because it’s connected to the Internet? Could get real hot or ice cold inside.